The Valais is not only the first wine canton in Switzerland with nearly 5’100 hectares of vines and 80’000 plots, but also a region unique in the world by the diversity and potential of its indigenous and traditional wines. 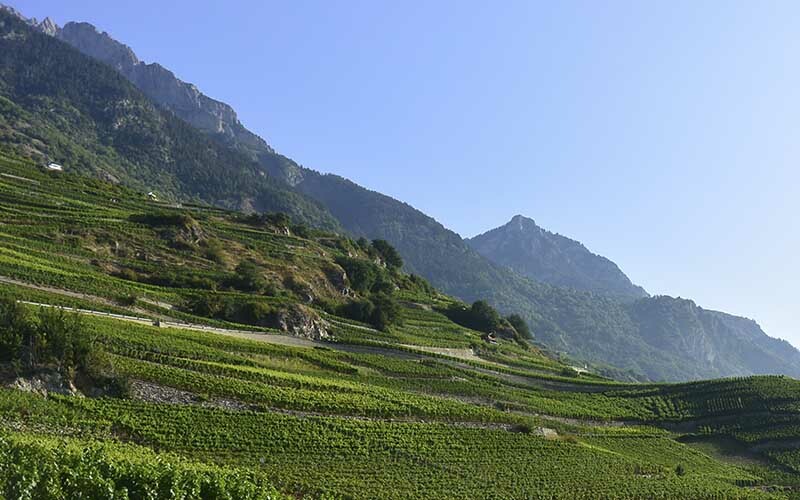 All the Valais winemakers produce an average of 41 million litres per year, of which approximately 10 million litres Fendant, with all the varieties of vines. The Valais has the greatest diversity of soils in Switzerland, which promotes a perfect match between grape varieties and the climate and helps to create exceptional wines. Since 2005, a quality monitoring of vines has been implemented to ensure the unique character of Valais wines. The Chasselas, the grape variety of Fendant, adapts to a multitude of soils. Its discrete and crystalline aromatic profile gives way to the nuances (floral, fruity, mineral) of its environment. 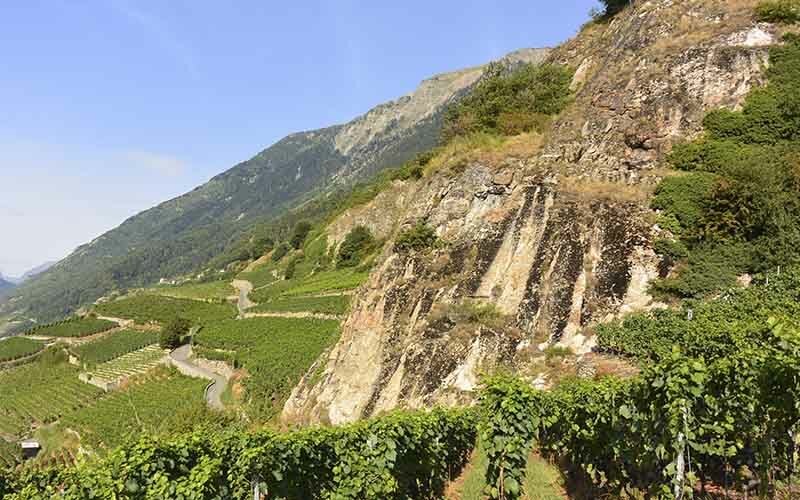 The climate of Valais is dry with a generous sunshine, ideal for ripening grapes. Autumn, with the beneficial effects of foehn, is often marked by strong thermal amplitudes between day and night, bringing the necessary balance to the maturity and perfect health state of the grapes. Most of the Valais vineyards are located between 400 and 800 meters above sea level but the plots of Visperterminen, in the High Valais, are planted at 1'150 meters. This is a unique case in Europe.